Who will be crowned the most beautiful of all at the Jungle Jamboree? Lion, Leopard, Hippo, Zebra? 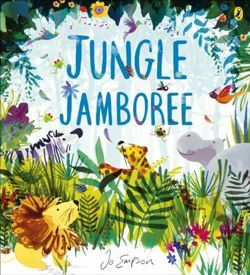 The jungle creatures all try to change themselves in this beautiful book, bursting with wild splashes of colour and hilarious animal antics. But Fly has a surprise in store - soon the animals learn that they are lovely just the way they are, and that kindness is the most beautiful thing of all.